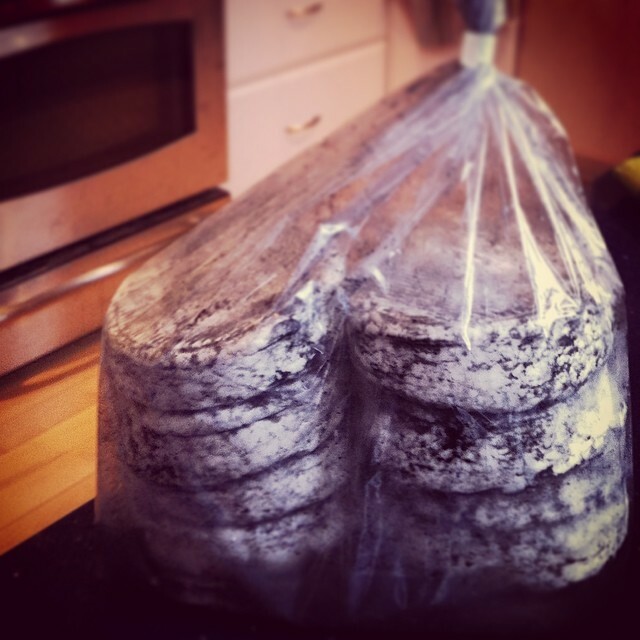 There was brine in the bag that had turned grey from the ash coating, and so the cheeses were all wet. 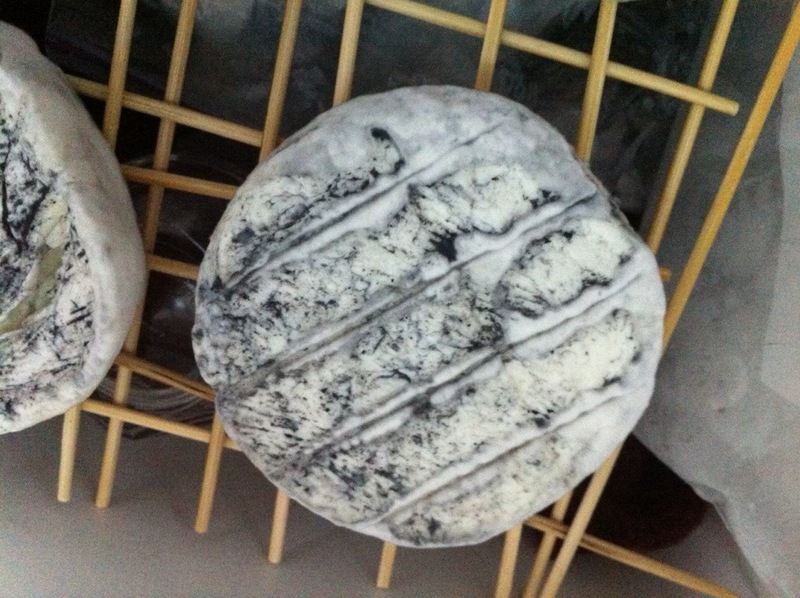 Different cheeses require different conditions, and my baby Camemberts would be perfect in 12-14°C (about 53-57°F) and 85-90% humidity. 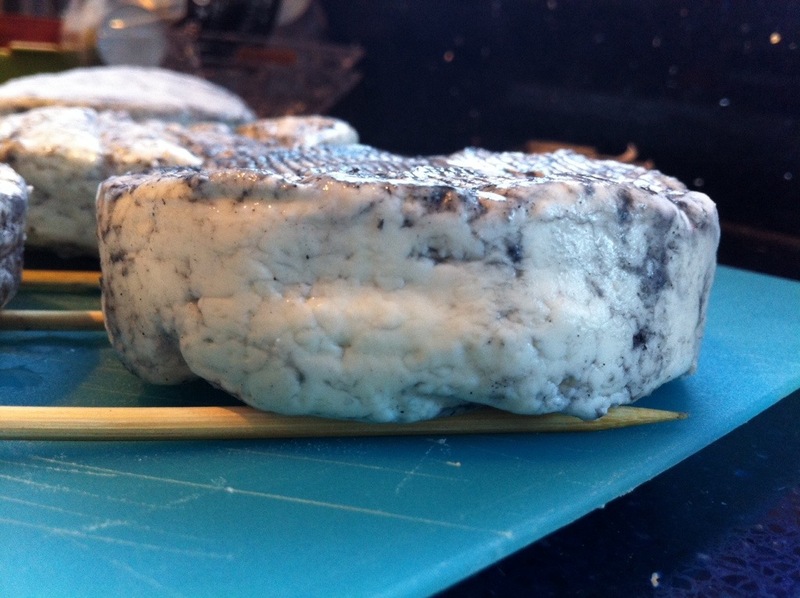 In these perfect ripening conditions, the penicillin in these cheeses will make a rind of bloomy white mold all over the surface of each cheese. This is the easy zone. I popped three of my Camemberts into a glass dish in the fridge, to rest atop wooden skewers, and have left them there. 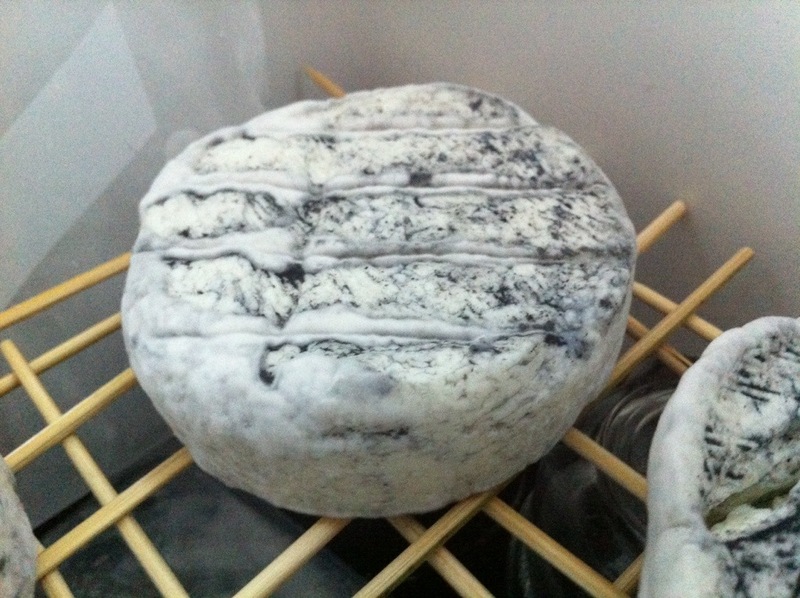 The fridge is a bit cold for them (where they are in my fridge seems to be around 8-9°C), but they are doing ok and are definitely food-safe cheeses that won’t get too warm and spoil. I’m flipping them every few days, and letting any built-up gasses out of the container, but otherwise I’m kind of ignoring them. 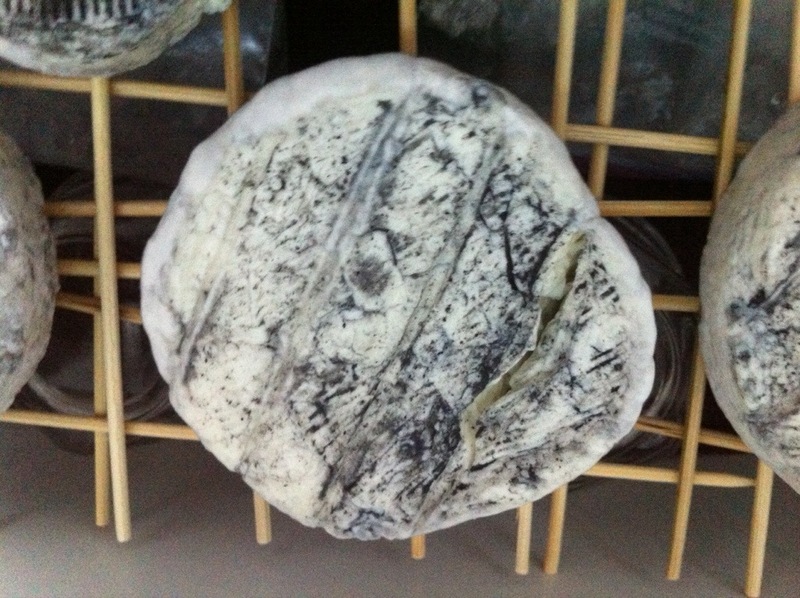 The fridge cheeses are developing their bloomy white rind slowly but surely. The cooler requires more work. I’ve been making ice 3 times a day to keep the cooler in the 12-14°C range, and I’ve been more or less successful at it. A couple times when I checked the temperature it had risen a bit too much, but I’ve changed my setup a bit (thanks to Mr. KitchenOperas!) and the temperature has stabilised. I had a cooler emergency yesterday, when I opened the cooler in the morning to say hi to my baby cheeses, and one of the ice packs had fallen over! 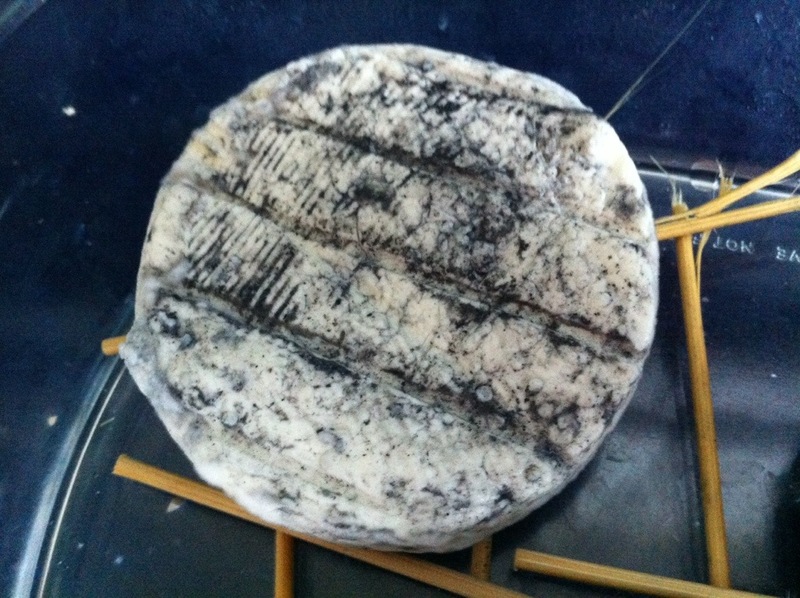 It fell over onto one of the cheeses and even cracked it!!! So I’ve smushed it back together (apparently this is the right & very technical thing to do), and am crossing my fingers. This is why we have a few baby cheeses! This is one of those times where white mold is actually a good thing! As I’m seeing the bloomy white mold develop, I know I’m on the right track. And I’m on the lookout for molds of any other colour (especially neon or black) or texture. 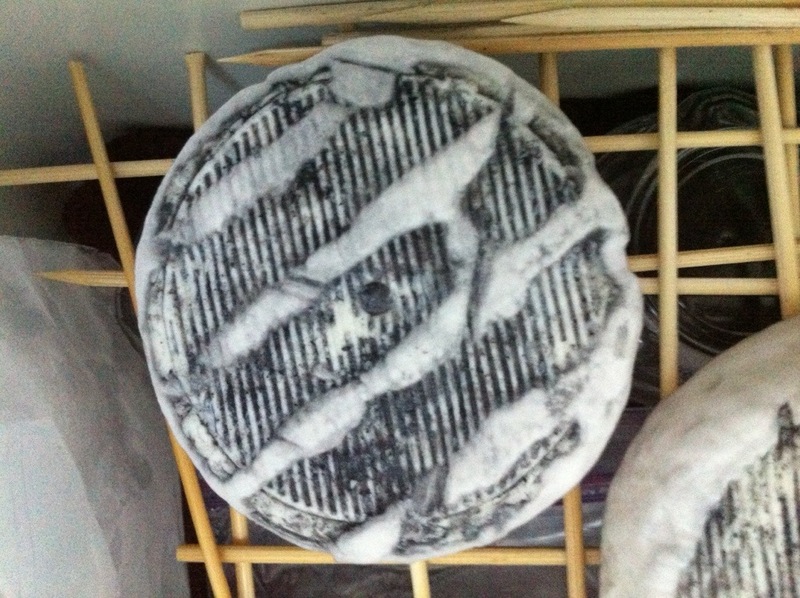 If you just can’t get enough Baby Cheese Updates, my dear friend Louise (who is taking the class with me) is also blogging all about her Camemberts over at her new cheese blog. You have to go take a look at her gorgeous photography. She’s got a similar setup (with cooler cheese and fridge cheese), but she’s going to use apple juice to flavour one of her cheeses. 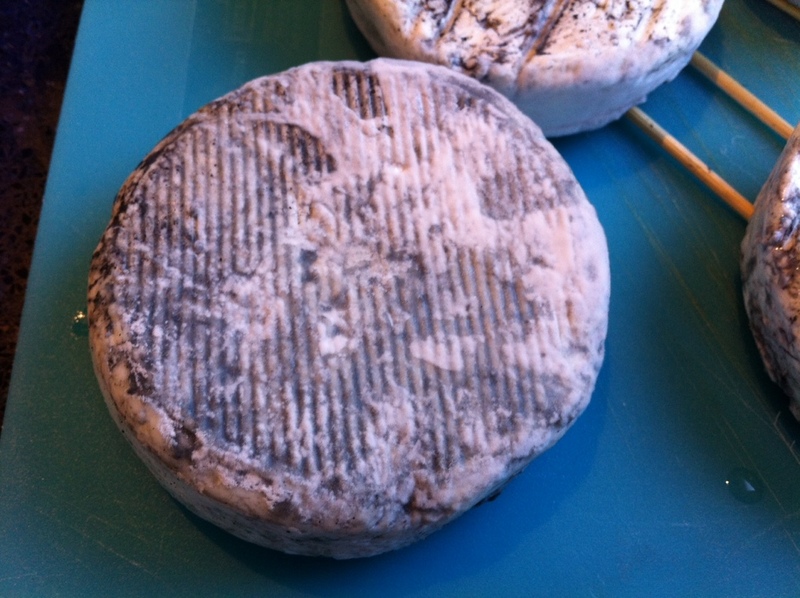 Which totally has me thinking about making one of my baby cheeses a boozy cheese… Bourbon Camembert, anyone? Bourbon? For a Camembert!! I would think it would feel more at home with French brandy! I might have to try bourbon on one and brandy on another, and compare! great post! I like that we seem to achieve very similar results 😉 off to make ice! 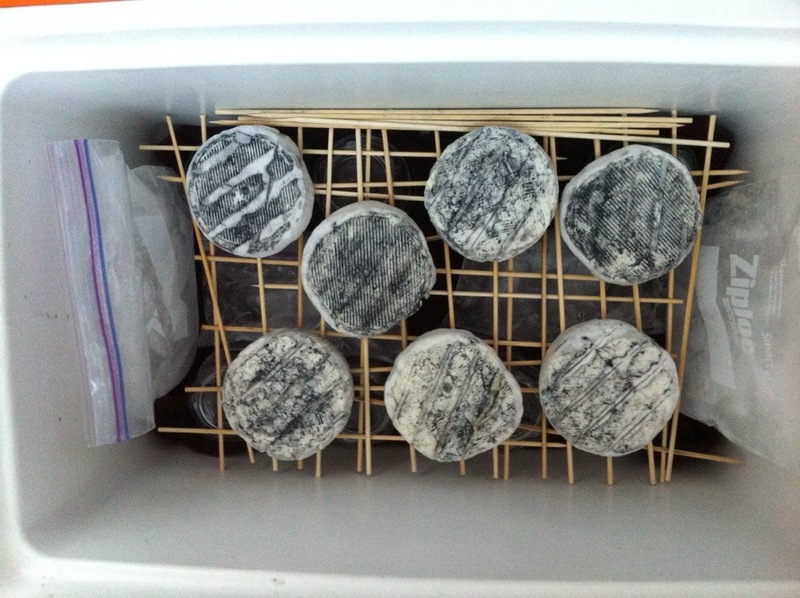 I have use the cooler method for a cheese cave before. If you take a 2L frozen water bottle you won’t have to worry about spillage and as it defrosts you get humility as well. Great write up and good luck. Thanks, what a great idea to use a water bottle!